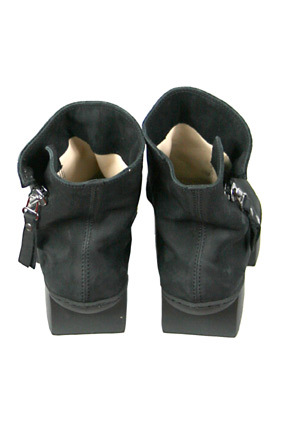 Trippen 'Hurry' zip boot in soft black leather. Diagonal zip. High sole with gap between front and heel section. Brilliant boots. Sizes 4=37 small, 5=38 medium, 6=39 large, 7=40 x-large.